The premiere of Asheville Beer Week is in full swing and continues on through the rest of the the week with festivities occurring throughout the local breweries and eateries of downtown Asheville. Beer Week offers unique events including a scavenger hunt, brews cruise, and pub-crawl in addition to an array of tastings, food pairings, as well as rare and new releases of some of the area's best brews. The week is filled to the brim with beer-related adventures in and around town, we suggest you view the complete list of events so you can plan your time and preferred destinations. The Beer Week celebration, events, and activities lead up to the Beer City Festival occurring on Saturday, June 2 from noon to 6p.m. at downtown Asheville's Roger McGuire Park. 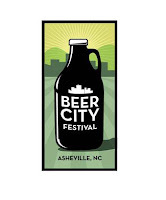 It's not too late to find accommodations conveniently located in downtown Asheville and purchase tickets to the Beer City Festival available at local breweries, Barley's Taproom and Bruisin' Ales. Take advantage of the chance to hop on over and enjoy a showcase of some of the area's best brews all in one beautiful location. With over 30 breweries on the brewery line-up and some rockin' music slated on the band line-up, it's well worth the visit. Are you craving a local brew served in an ice-cold mug but just don't think you can get here this week? That's okay! Asheville topped the BeerCity USA poll again this year (this is the fourth consecutive time) for good reason. Asheville's beer culture started in 1994 with the Highland Brewery Company pioneering the way and since then other burgeoning breweries have come on to the scene making it the popular craft-brewing destination that it has become today. Any time of the year is an opportune time to experience the latest and greatest on Asheville's brewery scene. Do you have a favorite brew from the Asheville area? Tell us about it in our comment section. Cheers! In addition to the very long list of fun things to do in Asheville and this area of Western North Carolina on any given day, we've compiled a short list of some interesting, unique, and all-around great events to check out while visiting us over the Memorial Day weekend. It's hard to believe that the month of May is quickly coming to a close, but it is. With the ushering in of Memorial Day, we are rapidly approaching the summer season. It's a great time to plan a family road trip, a weekend getaway, or a week's vacation (or more) here in this scenic part of the state. Whether you enjoy staying in the heart of downtown Asheville or prefer to be tucked away in a mountain retreat, you'll still have a nice selection of things to do in the area. What better way to get to know the area you're vacationing in but to stop by some of the local festivals and events? 1. 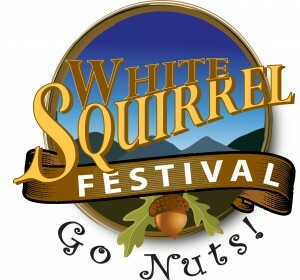 Check out the 9th Annual White Squirrel Festival. On Friday, May 26 through Saturday, May 27 stop in to downtown Brevard, home of the white squirrel, for a free festival full of music, food, and more information than you'll ever need to know about the white squirrel. Previously voted Best Spring Music Festival in Western North Carolina and a Top 20 Event for the month of May by the Southeast Tourism Society, you'll see why thousands of people go nuts for this festival. In addition to a host of family-friendly activities over the two days, there are 14 free, live concerts with headliners including the Firecracker Jazz Band, Jeff Sipe Group, and special guest Ike Stubblefield. The festival kicks off Saturday morning at 9a.m.with a Memorial Day parade and Presentation of the Wreath ceremony at the County War Memorial. Be sure to look over the full listing of events. Plan to visit the 12th Annual Mountain Sports Festival. This festival offers three days of outdoor sports, music, and beer at Carrier Park in Asheville. 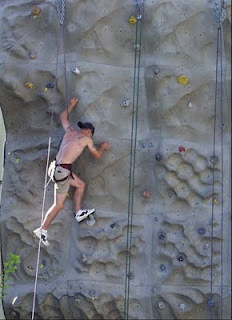 Friday evening, May 25 through Sunday, May 27 there are plenty of activities for the outdoors-minded from adults to kids. A wide array of sporting demos and clinics are available, sporting competitions, and kids events. There is so much offered, we suggest you go and check out the schedule of events for all the details. Stop in at the Weaverville Roots Festival. 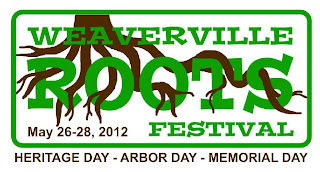 Celebrate the heritage and culture of Weaverville in this three-day festival starting Saturday, May 26 and continuing until Monday, May 28. Saturday is Heritage Day which offers a day of music, food, fun, crafts, demos, and entertainment in the downtown and park areas. 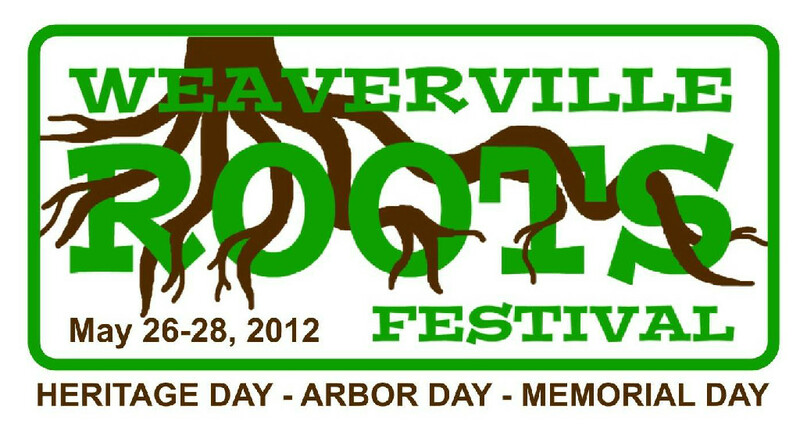 Sunday celebrates Weaverville's Tree City USA status. You'll find Arbor Day activities in the nature park, plus gospel and other sacred music as entertainment that day. Monday is Memorial Day celebrating and honoring living heroes as well as those heroes who gave their lives for our freedom. There's a commemorative ceremony scheduled that day at Lake Louise. For a full list of entertainment, check the full entertainment schedule. One final mention, this year offers the first ever Asheville Beer Week. 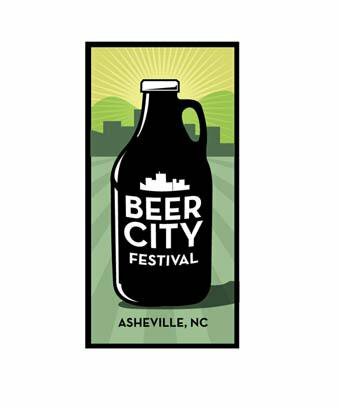 It starts on Thursday, May 24 and continues for ten days culminating at Asheville's third annual Beer City Festival on June 2. The week is all about beer and focuses on the fantastic and varied flavors, food pairings, and so much more. Over 40 breweries are slated to attend the Beer City Festival, and there are many other beer-related events happening throughout the week in local breweries, restaurants, and bars. Whether you choose to visit any or all of these festivals, that's up to you. We just want you here and enjoying the beauty, culture, and unique atmosphere of this area. Once you're here, we're sure you'll find too much to do and not enough time—which means you'll just have to come back for more! 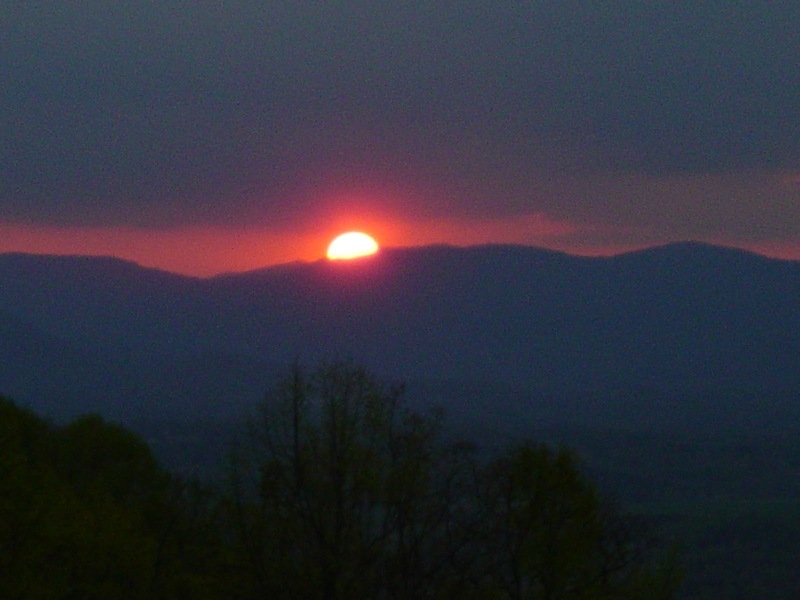 Have you been to Asheville over the Memorial Day weekend? How did you spend your time? Do you have an upcoming trip planned? We'd love to hear about it in our comment section. Planning a Vacation in the Asheville Area? Don't Forget Your Pet! When it comes to vacation planning, a lot of time and consideration goes into the process. On behalf of your four-legged friends, we request that you don't overlook this important part of your family when it comes to vacation time. An increasing number of vacationers are choosing to bring their pets with them on vacation, and so it should be. While it's easy to overlook the daily sacrifices your pet makes as constant companion, avid protector, and giver of unconditional love—we think pets deserve vacations, too. What about the constant pressure of maintaining the title as man's best friend? That can't be easy. Now that we've got you thinking about it, we'd like to suggest that you and your pet come to Asheville and the beautiful mountains of Western North Carolina for your vacation this year. Load up the car, roll down the windows, and let your pet inhale the fresh cool mountain air, take in the glorious mountain views, and feel the breeze rustling through his (or her) fur. According to DogFriendly.com, Asheville and the Blue Ridge Parkway recently ranked number two in their list of Top U.S. 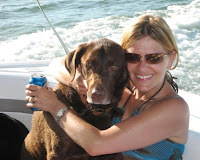 Vacation and Resort Regions for dog-friendly travel! Now you're really considering it, right? Allow us to convince you further. In addition to a wide selection of pet-friendly vacation rentals to choose from and lots of land to roam, there are also some great activities both you and your pet will enjoy while vacationing here. We wish we had the time and space to tell you about all of them (but we don't), so here are a few of our favorites. Walk the Urban Trail. Leash your pet and stroll the 1.7-mile walk through downtown Asheville. Take in the historical and architectural highlights on a self-guided tour or with a guide. Roam the grounds of the Biltmore Estate. Although pets are not allowed in the buildings, leashed pets are allowed to explore the grounds of the great estate. Be aware that if you don't hold a season pass, a day charge will be assessed. Behold the beauty of the Blue Ridge Parkway. You and your pet are welcome throughout the Blue Ridge Parkway as long as your pet is leashed (leash can't exceed six feet) and you clean up after your pet. Explore the Great Smoky Mountains National Park. 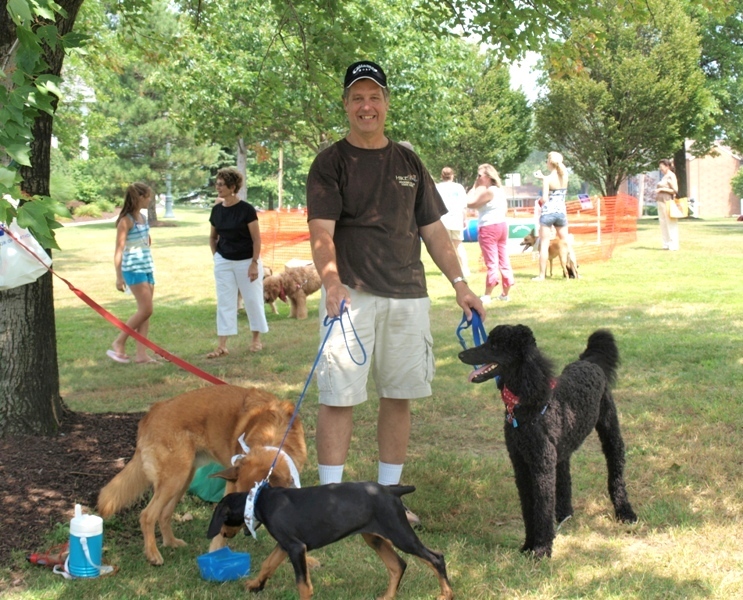 Leashed dogs are allowed in the campgrounds, picnic areas, and roadside of the park. Two trails are dog-friendly: the Gatlinburg and Oconaluftee trails (leash mandatory and cannot exceed six feet). Do the dog parks. 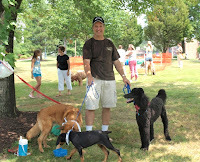 Your pet will thank you for the exercise and socialization found in the local dog parks. The French Broad River Park meanders along the river and is one of west Asheville's most beautiful parks. Azalea Park is located along the Swannanoa River in east Asheville and offers 155 acres of park pleasure. The fenced dog park has areas for small and large dogs. 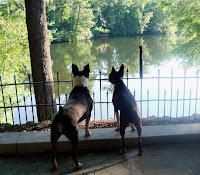 Well, we hope you have taken paws (sorry, had to say it) to consider us and are now convinced that Asheville is the ideal vacation destination for you and your pet. We hope to see you here in the very near future! 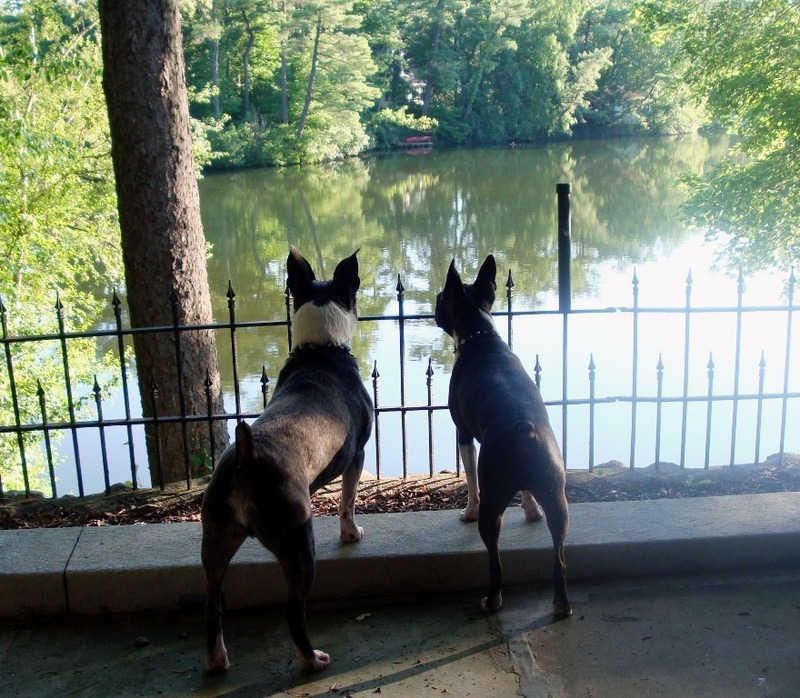 Have you and your pet already vacationed in the Asheville area? Tell us what you did while you were here! We always love hearing from you, so please share with us in our comment section. Ooh-la-la, romance is in the air. Have you heard the news? Asheville, North Carolina has been chosen as one of the world's most romantic destinations! The About.com 2012 Readers' Choice Awards were recently released and Asheville took the top honor in the category of Most Romantic Place in the USA/Canada 2012. We know we are biased, but we fully agree and are proud that Asheville was voted a Readers' Choice winner in the category of romance. You will find a myriad of romantic moments in our Western North Carolina countryside as well as in the streets of downtown. With brilliant sunsets sinking softly behind majestic mountain peaks, hiking trails nestled in the pristine beauty of the Pisgah National Forest, and the rushing waters of mountainside rivers and waterfalls, the allure and breathtaking beauty of nature abounds here. We find that to be romance in one of its purest forms and think you will, too. Whisk your loved one away from the demands of life and escape here for a while, and plan your own intimate romantic adventure. In addition to the romance of the scenic natural charm, downtown Asheville also offers romance of another kind (or two, or three). In our streets you'll find historic, cultural, and culinary charm. Enjoy local fare during a cozy dinner for two before taking in a show, stopping by a museum or art gallery, or dropping in at a local club to listen to some live music. Take a leisurely stroll along our streets hand-in-hand with your loved one and visit our unique shops and boutiques. There is an ever-changing array of local events to choose from, no matter when you decide to plan your romantic getaway. Whether your day is spent in our countryside or in our cityscape, finish each and every day you're here at your romantic mountain getaway. Savor this intimate time by re-living the day's adventures, sipping some wine, drinking in the luscious views, and making some memories. We don't think one can ever have enough romantic adventure in one's life. What do you think? 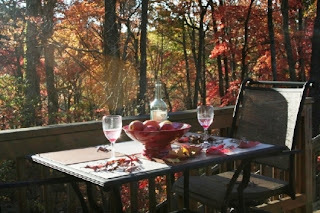 What is your favorite romantic Asheville memory? We'd love to hear about it in our comment section. If you haven't been here yet, Mother's Day is right around the corner. 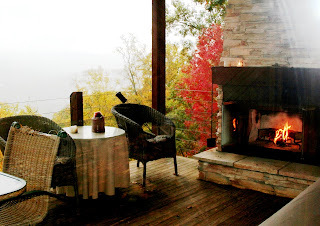 Maybe you could squeeze in a romantic getaway this weekend? Just a thought! Asheville Connections Is Now on Pinterest! Who are you following? Who is following you? Have you liked something enough to repin it on your own board? If you have been on Pinterest, this lingo is quite familiar to you. If you haven't, you might want to check it out and see what all of the buzz is about. Pinterest is an online pinboard especially created to entice those of us who are visually and categorically inclined. By that we mean you can find a vast photographic selection of ideas to peruse. Pinterest has created its own categories to help you search for things of interest to you whether it's art, DIY & crafts, gardening, fitness, humor, photography, sports, and the list goes on. By creating your own categories, or in Pinterest terms—your own boards, you can organize this virtual sea of visual information into nice neat categories with your own catchy titles. This becomes a place for you to pin some of your own ideas or repin the ideas of others. Pinterest also gives you the option to follow other Pinterest members that you find particularly interesting or who post things that you have an interest in seeing. So, you can follow your favorites and in turn, they can follow you. 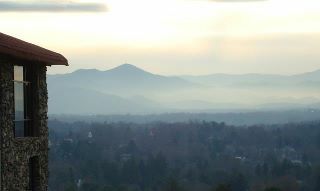 Asheville Connections is now part of the Pinterest community! What does that mean? It means we have another great way to share all of the things we love about Western North Carolina and all this area has to offer. We already love sharing our luxury vacation rentals and other accommodations with you, but we want to do more! Be sure to check out our boards which include stunning photography and helpful information on Asheville, NC, the Biltmore Estate, the NC mountains, and other highlights including travel tips, decorating ideas, and so much more. If you're already a member, be sure to follow Asheville Connections on Pinterest. We think you'll love what you see. If you're not on Pinterest yet, you should consider it. But be forewarned, it is addictive! We love the Travel & Places category on Pinterest. What is your favorite category? We'd love to hear from you so please feel free to share it in our comment section!